It’s not quite miracle status. But what’s happening at the longstanding Miracle Hills office park is, to some in the commercial real estate industry, a bit astounding and certainly encouraging. When corporate giant Tenaska six weeks ago emptied out the bulk of three office buildings at Miracle Hills — one of the city’s oldest suburban office campuses — many figured it would take a while for that space to fill back up. But one building was purchased immediately by Immanuel for its corporate offices, and a second is in the process of being bought and filled by another growing firm, BuilderTREND Solutions. 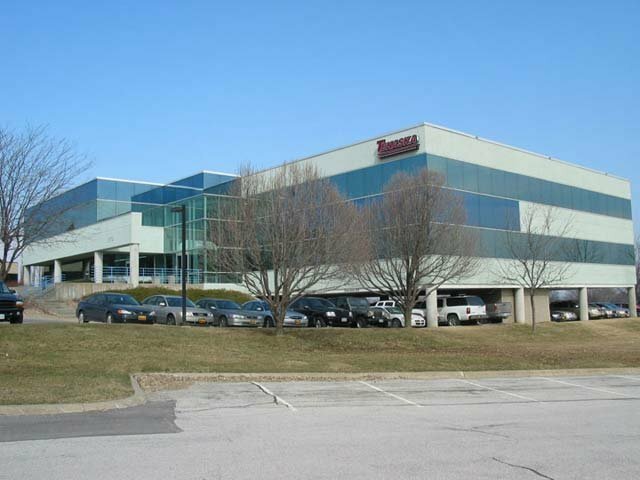 A nearby building unrelated to Tenaska but in the same office park also has a new owner that has secured a new major tenant. That’s after the structure sat nearly half empty and on the market for about four years. With a low 5.5 percent vacancy rate, the 23-building Miracle Hills office area has the best occupancy of all of Omaha’s dozen submarkets, according to the latest report from Xceligent, which tracks local real estate trends. The campus helps boost the health of the broader office market, which has seen an overall vacancy rate drop from 14.4 percent a year ago to 11.9 percent, the lowest recorded quarterly vacancy rate in more than a decade, Colliers International said in its latest analysis. Low vacancy rates in the office market are an indicator of economic strength, since busy worksites and working people churn the wheels of commerce. In addition to an expanding job base, large lease transactions and fewer move-outs by large businesses have contributed to the office market upswing, said Colliers’ Barry Zoob. “The market has truly recovered from pre-recession levels,” he said. For the fourth straight quarter, Omaha leased more office space than was vacated. Over the past year, Omaha had about 350,000 square feet of positive absorption, which the Colliers report says is about 40 percent greater than the yearly average over the past decade. Filling up particularly well is Class A office inventory, which generally is newer property with covered parking and other amenities. At suburban campuses, Class A stock has an impressive 3.6 percent vacancy rate. Only five Class A nonmedical buildings in the suburban office market have 10,000 square feet or more available to lease. Such limited selection has led to a flurry of new office parks either under construction or proposed, mostly on the western fringes of Omaha, including West Dodge Pointe and Fountain West office developments. Even with the prospect of fresh suburban space, the older Miracle Hills has thrived. Located north of West Dodge Road between 114th and 120th Streets, Miracle Hills is dominated by Class B structures built in the late 1980s and early 1990s. The campus has quick access to the Interstate system and plentiful services around it, including retail, restaurants and banking. A 5.5 percent vacancy rate at Miracle Hills compares with 8.6 percent downtown, 9.2 percent in both midtown and the central West Dodge area, 6.8 percent in the suburban West Dodge corridor and 20.9 percent in northwest Omaha. Still, when a large amount of office space is emptied — as was the case when Tenaska moved farther west — the question is how long that glut will remain. Tenaska moved in late March from the three buildings to a single, tailor-made structure in the newer First National Bank business park at 144th Street and West Dodge Road. “There was worry that there’d be a large vacancy left behind in Miracle Hills,” said J.P. Raynor of Investors Realty. He said it’s typical for office space to sit empty six months to two years before a new tenant surfaces. T.J. Twit of the Lund Co. attributes the quick turnaround of the two Tenaska buildings to the central location and its proximity to the West Dodge corridor and stores and services. As Raynor and Kerrigan recall, though, Miracle Hills wasn’t always a coveted spot. When work began on the West Dodge Expressway, the area struggled with an office vacancy as high as 19 percent in 2003. In 2010, the vacancy rate at Miracle Hills remained in double digits, 13 percent. The next few years saw gradual improvement: an 11.2 percent vacancy rate at the start of 2011; 8 percent in 2012; 7.6 percent in 2013; and 5.5 percent today, according to Xceligent records. The nearby Old Mill, also one of the city’s original office parks, today has a vacancy rate of about 10 percent. >> The five-story building at 1044 N. 115th St. was purchased recently for $8.75 million by Immanuel, which provides services to senior citizens. The Immanuel network’s corporate staff will move into the 75,500-square-foot property after an extensive renovation. It leases a portion of the building to Schemmer Associates. >> The 11718 Nicholas St. building is in the process of being bought by BuilderTREND, which offers homebuilders and subcontractors a Web-based construction management software program. The firm will occupy the majority of 25,000 square feet — doubling its previous space near 110th and Q Streets — with a staff that also has more than doubled in the past year, said Pat Regan of Investors Realty, the firm’s broker. A small chunk will continue to be leased by a law firm. >> Space in the third building that Tenaska occupied, 1045 N. 115th St., has not yet been filled. Unrelated to Tenaska, the Miracle Hills building at 11819 Miracle Hills Drive recently sold for $2.4 million. That 31,800-square-foot structure has been about half empty since the Nebraska Spine Center moved farther west to the Bank of the West business park in 2009, said Chad Hansen of CBRE/Mega, who represented the physicians group that sold the building. OneStaff Medical Inc. will move into 5,000 square feet of that building in July, attracted by the area’s accessibility and extensive renovations by the new landlord. “It was a no-brainer because it was a blank slate we could build upon,” OneStaff co-founder Todd Livingston said. Livingston, who founded the medical staffing company nearly five years ago with partners Jack Swinney and Jason Avenell, said the three-man show has grown to 20 full-time employees. Now with twice the space as before, the firm plans to hire 15 more people by year’s end, Swinney said. Raynor, who represented the seller of 11718 Nicholas St. in Miracle Hills, said the sale of three office buildings around the same time and in the same complex is unusual — and a sign of a healthier market. “The surge we see in owners-users purchasing office buildings is pent-up demand,” he said. Despite its relative age, Hansen said Miracle Hills has managed to stay strong largely because of its accessible location. “It’s a survivor,” he said.